We've compared 28 Samsung Galaxy A3 (2016) deals. SIM-Free (unlocked, no SIM) and Pay-as-you-go (locked, with SIM) deals can be found from £109 in the SIM-Free tab if wish to purchase without a contract. Some retailers allow you to spread the cost of your phone - untick the "All Upfront" payments box to see these. 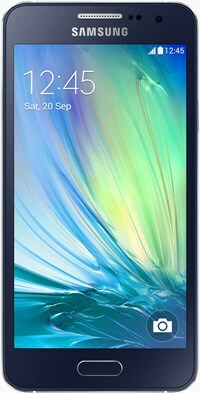 Samsung have given the ever-popular Galaxy A3 a makeover, which means it now rocks a HD display, super-sized battery, and 13MP camera.